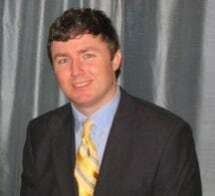 Eric Helm came to MGM Attorneys in October of 2010 to practice in the firm’s Medical Malpractice Section. A Baton Rouge native, Eric graduated from Catholic High School and earned his B.A. in Political Science, with a minor in History, from Louisiana State University. Upon graduation from LSU’s Paul M. Hebert Law Center, he was among the first attorneys in the state to receive both a Doctorate of Jurisprudence and Bachelor of Civil Law. Following law school, Eric completed legal clerkships for the judges of the 14th Judicial District Court and for the Honorable Judge Billie Woodard of the Louisiana Third Circuit Court of Appeal. Prior to joining the firm, Eric spent most of his legal career defending physicians and their insurance companies; but, after some soul-searching, decided his skills, training and experience should be used to represent the interests of injured victims of medical malpractice and their families. Eric is admitted to practice before the Louisiana Supreme Court, all state courts in Louisiana and the United States Western and Eastern Districts. He is a member of the Louisiana State Bar Association, Baton Rouge Bar Association, Louisiana Association for Justice and Catholic High School Men's Club. He is also a yearly retreatant at Our Lady of the Oaks and weekly Eucharistic adorer at Our Lady of Mercy Catholic Church. Eric and his wife, Bridget, have been blessed with five incredible children.